This is not the first time a tile broke off from the roof in a Metro Rail station. A few weeks ago, a passenger had a narrow escape when a tile fell close to him as he was walking inside the Egmore station, a source said. 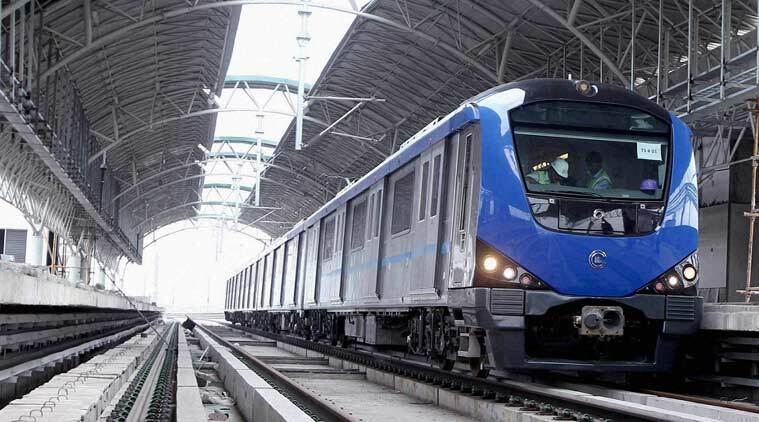 Chennai Metro Rail Limited (CMRL) officials while confronted said that the construction is done under strict supervision. They agree that this was indeed an unfortunate incident and that they will ensure such incidents are not repeated. Even while the CMRL official gives assurance, such incidents have become common. Earlier glass panels broke at the Nehru Park and Pachaiyappa’s College stations. Two months back, glass panels broke at the Pachaiyappa’s College station. At Nehru Park Station two glass panels broke. CMRL official informed that the glass panels are made of toughened glasses. Even if they crack, they will not break. These special panels are designed to hold glass particles together. An expert at IIT-Madras said that the fact that such issues were cropping up in a relatively new structure showed that the construction was shoddy.